One of the most important elements of a HOA meeting is the agenda. Too often we just jot a few things down and send it off to the other board members an hour before the meeting. Don’t act shocked, you know you’ve done it. 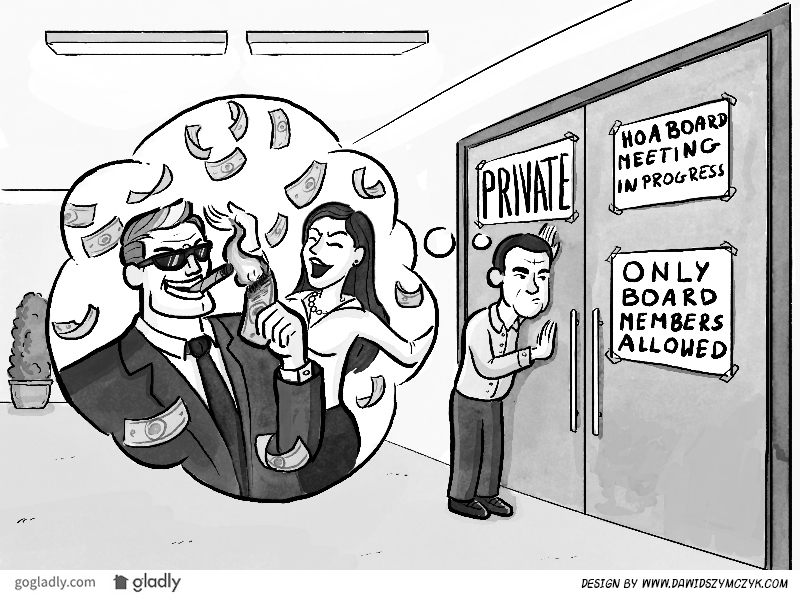 The HOA agenda serves two very important purposes. First, it provides notice to all member where and when the meeitng will take place. Second, it outlines action and discussion items to be discussed by the board of directors. When done properly, the HOA meeting agenda will save you time, inform homeowners, and keep your meeting on track. The agenda can be very helpful in preparing the meeting minutes. With a proper agenda, and a little planning using a Meeting Minutes Template, you will be well prepared for your next HOA meeting. One of the primary purposes of the agenda is to inform members about the upcoming meeting. A consistent format will help members to understand the format of the meeting and quickly see what is scheduled. It will also help them to know when and how to bring forward concerns, questions, and suggestions. Often homeowners think that the board meeting is an open forum free-for-all. A clear policy on when and how items must be submitted for consideration on the agenda will prevent those last minute board meeting suprises. Post the agenda prior to the board meeting with plenty of notice so the homeowners know what will be discussed at the next meeting. A proper agenda will keep members infomed and an attitude of open an transparent communication will help homeowners and board members work as a team to improve the community.